Women's events include uneven parallel bars, balance beam, floor exercise, and vault. 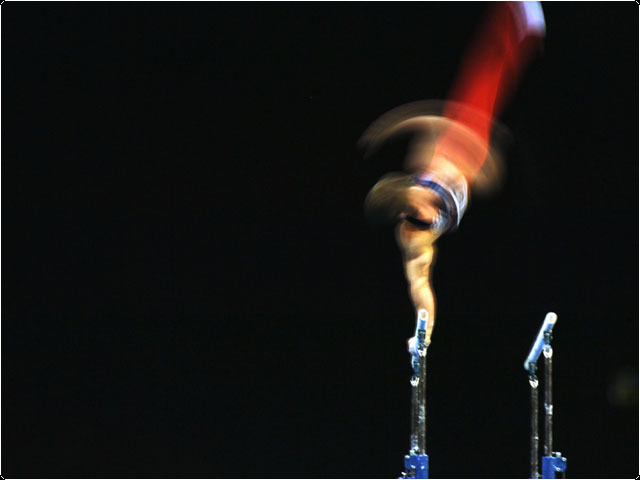 Men's events include floor exercise, pommel horse, still rings, vault, parallel bars, and high bar. Gymnastics is highly technically and can be risky. If you're going to take part you need to be physically and mentally ready. If you're a gymnast it requires, strength, coordination and balance. Let us help you get ready - stop by Bodygears for the best in clothing and accessories. At Bodygears we have grips, leotards, biketards and gymnastics shoes.